Busch Gardens Tampa Bay boasts a sensational collection of rides, attractions, shows, animal encounters, and thrilling roller coasters. The whole family can enjoy a great day at this fun and exciting theme park. TicketsatWork.com is featuring a sweet deal for guests: 30% off tickets + all day dine. 1. Cobra’s Curse – Just opened this summer, Cobra’s Curse isn’t your ordinary roller coaster. This family Spin Coaster takes riders on a whirlwind of fun and an adventure of exciting explorations. After ascending on a vertical lift, just like an elevator, riders will come face-to-face with an 80-foot snake icon and trek over the park’s Serengeti Plain. The three-and-a-half-minute ride features a menacing 30,000-pound snake king icon and a 70-foot vertical lift that will take riders within inches of its 4-foot-long fangs. 2. Serengeti Safari Tour – This tour transports you to the wild and wonderful world of the Serengeti Plain as your tour guide relates secrets and stories of this amazing habitat. While enjoying your safari you’ll see fascinating animals like zebras, giraffes and ostriches while learning about other exotic animal species. And don’t forget your camera—the photo opportunities are amazing. 3. Falcon’s Fury – The tallest freestanding drop tower in North America, standing at 335 feet. At the ride’s highest point, like its bird of prey namesake, riders pivot 90 degrees in midair to a facedown dive position. An instant later they’ll plunge 60 mph straight down. 4. Treetop Trails – The kids can explore the different levels of jungle life in this three-story family play area. Features include climbing nets, bridges, crawl tubes and a multi-level maze for bigger kids, plus a water-play area for younger children. 5. Edge of Africa® – Set your own pace as you trek through an abandoned fishing village on the edge of Africa. Encounter exotic African animals in naturalistic habitats, including hippos, lions, hyenas, lemurs, meerkats, crocodiles and lappet-faced vultures. What’s nice about the All Day Dine part of the 30% off deal is that Busch Gardens Tampa Bay boasts plenty of unique culinary opportunities for everyone to enjoy. Get your wristband to enjoy all-you-care-to-eat and drink all day at participating restaurants: Voyager’s Smokehouse, Spice Mill, Terrace Café, Mango Joe’s, Seaport Pizza, and Seafire Inn. Visitors to Busch Gardens Tampa Bay can also look forward to seeing the recently opened Rising Tide Conservation exhibit, a 270-gallon aquarium housing aquaculture fishes, live coral and snails. Busch Gardens Tampa Bay also just announced the debut of the Busch Gardens Red Carpet Series. Held in the Moroccan Palace Theatre, kicking off the series is award-winning comedian/musician Wayne Brady (August 26 at 8:00 p.m.), and legendary Latin jazz artist Arturo Sandoval (September 17 at 8:00 p.m.). 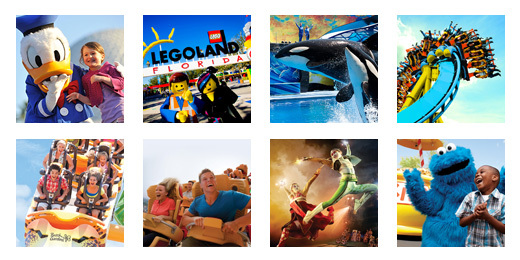 Get ready for Busch Gardens Tampa Bay with TicketsatWork.com: 30% off tickets + all day dine.